Shazam! takes flight in theaters this week and it promises a “lighter side” of DC Comics adaptations. 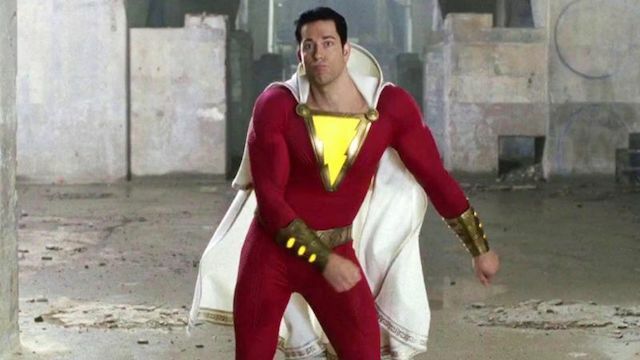 It could set the stage for Zachary Levi’s larger presence in the universe, which something he’s more than happy to embrace. While speaking to the Toronto Sun, Levi expressed his willingness to join DC’s A-list heroes in the Justice League. However, a Justice League sequel is still in question. Its $658 million tally was below what Aquaman made just over a year later. For now, DC and Warner Bros. are focusing on Joker, Wonder Woman 84, and James Gunn’s The Suicide Squad. Levi isn’t sure what’s going to happen with Shazam! after this film. The story suggests his character could meet the other heroes, but there are no guarantees. After DC’s New 52 reboot, Shazam was added to the Justice League’s roster in the comics. Whether that will happen on the big screen remains to be seen. Regardless, there are more potential stories for the hero than just a match against Dwayne Johnson’s Black Adam. Shazam! hits theaters on Friday, April 5. Do you want to see Shazam join the Justice League on scnreen? Let us know in the comment section below!